The Commander GF was Brigadier Bill Godwin, ex-CO 1RAR who returned to service after being on pension to take over command. The Deputy Commander, Chief of Staff, was ex Air Commodore H.J. Pringle ICD, OLM, OBE, C.Eng, MRAeS who dropped a rank and returned from pension to serve as deputy. The Staff Officers Pay and Admin were also men who returned from pension to serve. Initially GF was not allowed to employ anyone who had a military commitment to the Rhodesian Forces and, as a result, ended up with officers who had never even visited Africa previously let alone worked in Africa. 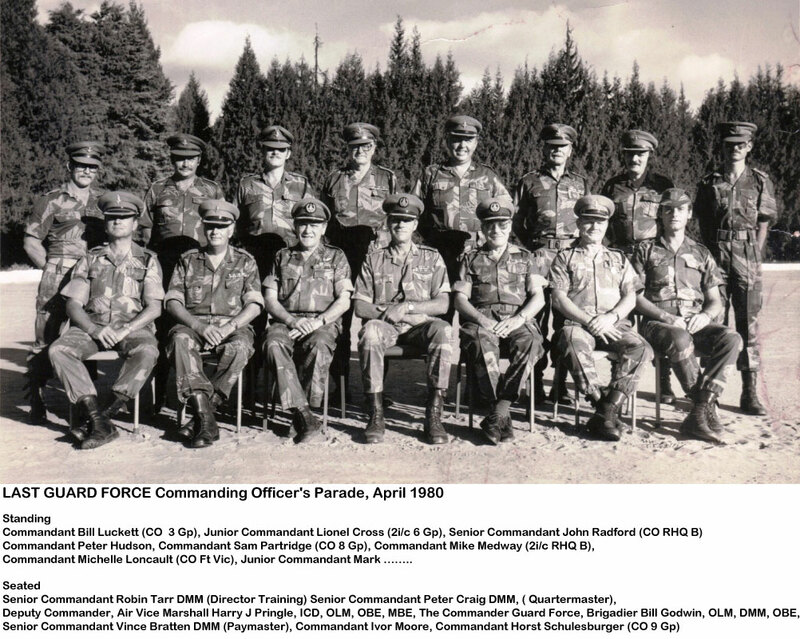 For instance John Radford took over at Beitbridge from an ex Dutch Air Force Missile Control Officer who could hardly speak English and was commanding a GF unit. 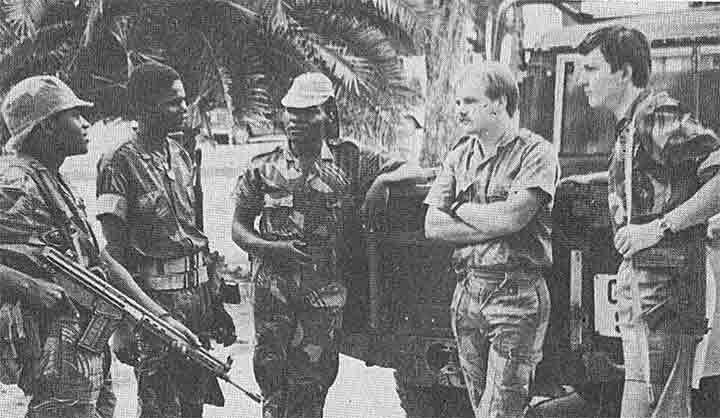 John himself, joined GF after having officially emigrated from Rhodesia in 1977 and then returned in 1978 to find that he no longer had a military commitment and so was offered a job with GF. To understand how the Guard Force fitted into the Security Forces, you need to read how the Protected Villages came into being. That article explains clearly why the Guard Force was created and how it has its roots in Internal Affairs. Use this Link to visit the Guard Force web site (Updated 2014).